REQUEST YOUR FREE COPY OF OUR AUTOMATIC GATE BUYERS GUIDE. We provide domestic and 24 hour commercial repair service on automatic doors & gates throughout Sydney. We can also offer a routine maintenance package. Call 1300 560 608 or fill in our ‘Enquire Now’ form below. We complete your installation efficiently & precisely. We test your installation to make sure its runs perfectly. We’re available on standby for maintenance, repairs & more. 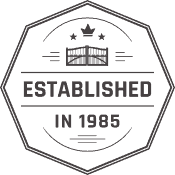 Talbot Auto Doors are the trusted experts in installations and repairs (backed up by 30+ years’ experience) for automatic gates. Blacktown residents interested in adding value, security, convenience and style to their properties with automatic sliding gates need only call us up on 1300 560 608 to book an appointment with a member of the Talbot team. 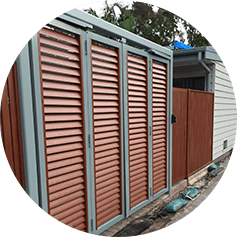 With our gates, Blacktown customers will find a range of options, from hydraulic swinging gates to our unique bifold gate to telescopic sliding gates. Whatever your needs and budget, there’s something to suit everyone here at Talbot Auto Doors. More than just an installation service, we also provide quality automatic door repair. Blacktown residents needing maintenance, repairs or parts replacement can call us up and we’ll get things back on track. From hydraulic door repair to commercial door service maintenance, roller door repair through to residential automatic sliding door repair. We even offer emergency automatic door repair. Blacktown residents, we know there’s never a convenient time to have an automatic gate malfunction, and with our 24-hour emergency service you can get things back to good ASAP. We’re proud to offer our quality service and 30+ years’ experience to residential and commercial clients – and with our commercial door service, Blacktown business owners and strata managers can trust us to deliver on quality workmanship. 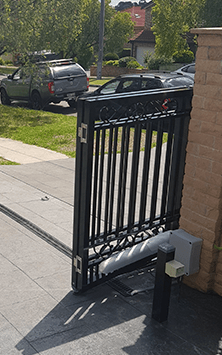 So whether you’re looking to install automatic gates, need automatic door repairs or a commercial door service, Blacktown’s trusted Talbot Auto Doors is a quick call away on 1300 560 608. If you’re equipped with basic electrician skills and are looking to put your customer relations and business management skills to good use, then a Talbot Doors franchise could be the opportunity you’re looking for. TALBOT AUTO DOORS © 2019 ALL RIGHTS RESERVED.